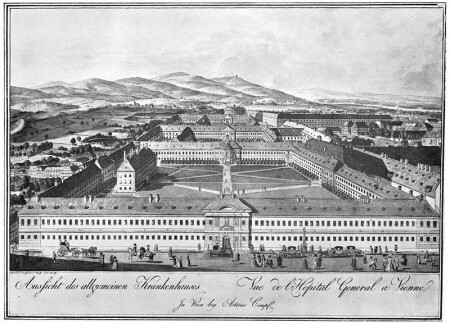 The Vienna General Hospital was built in 1694 as a home for the poor and invalid by Emperor Leopold I, and by 1696 it held over a thousand indigent patients. Emperor Joseph II saw the poorhouse as capable of so much more than just housing the sick and poor, and turned the campus into a General Hospital, inspired by Hotel Dieu in Paris. 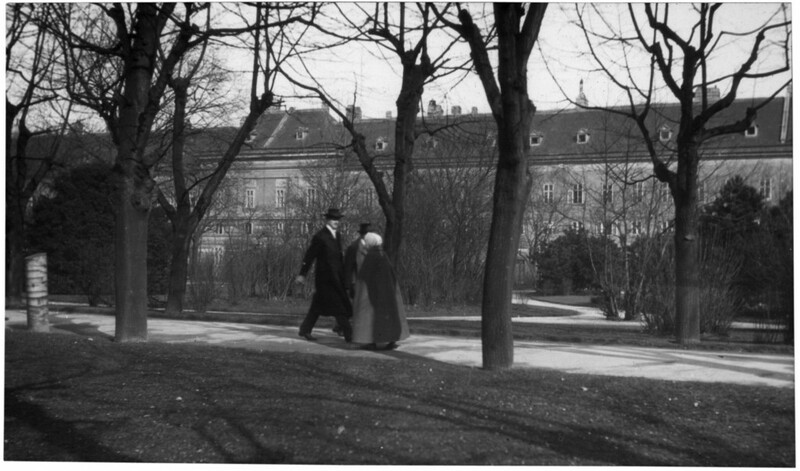 The grounds continued to be expanded unto the 19th century, but as the medical care of the 20th century improved, the old Hospital became less functional. I tried to find a modern photo with the same perspective, but came up empty — not due to a lack of pictures of the grounds, but just the lack of coincidence in pointing a camera that direction. You can look around the grounds in this photoset. 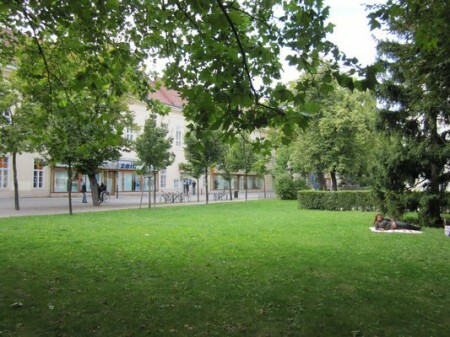 It’s not difficult to visit the area because in the late 20th century the Vienna General Hospital became the campus of the University of Vienna. Although the buildings still stand today, there’s a lot more inside the walls of the old General Hospital than when the picture was taken. About all that remains of its medical heritage is the “Fool’s Tower”, once home to the mentally ill, and now home of the Vienna Pathological-Anatomical Museum.